Paul Santina is the Chief Executive Officer of Clear Blue Energy Corp. He is an experienced Senior Business Development, Marketing and Operations Executive with extensive experience in the high technology, telecommunications, consumer and networking industries providing global end-to-end product design, manufacturing, inventory management, supply chain management, logistics and reverse logistics services solutions to tier one global customer. When Santina joined Flextronics in 1997 in business development Flextronics was $200M in revenue and he helped take the company to $36B in revenue in 2008. In his role as Vice President of Global Business Development he closed OEM programs worth over $3.6 billion in annual revenues. Running Flextronics’ business development team in Tokyo, Japan he closed over $500 million in OEM contracts with Korean and other Asian customers. Santina has a well established network with senior executives at major tier one and two OEMs in the United States, Japan, Korea, Europe, South America and Mexico. He has significant international business experience launching large global programs in Japan, Korea, China, Southeast Asia, Eastern Europe, Brazil, Scandinavia and Mexico. Santina has the ability and proven track record in strategizing, penetrating at high levels and closing very large scale global long term partnerships with significant tier one OEMs. Santina closed a $1.0 billion deal with Kyocera Wireless Corporation providing a global end-to-end product design, product manufacturing, inventory management, supply chain management, logistics and reverse logistics services solution for their wireless handset business. Santina closed a $500 million deal with LG Electronics providing a global end-to-end product manufacturing, inventory management, supply chain management, logistics and reverse logistics services solution for their LCD TVs for the North American market. Santina helped customers restructure their balance sheets and free up hundreds of millions in capital so they could invest that capital in their core competencies, significantly improve their ROICs and strengthen their profit and loss statements. Santina delivered large scale results for customers by providing global end-to-end system solutions and real strategic value add worth hundreds of millions of dollars. Santina has also been a part of several startup companies has owned and operated his own real estate development company and took one startup in San Diego, Qtron Inc., from zero to $50 million in revenue in just 24 months. Santina holds a Masters Degree of Business Administration with emphasis in Marketing & Finance as well as two Bachelor of Arts Degrees in Economics and Fine Arts. All three degrees were received from Syracuse University in New York. Jim Kelly is the Chief Operations Officer for Clear Blue Energy Corp. As former COO of Kyocera Wireless Corp. and Iomega Corp., Jim has proven himself an executive with strong expertise in the globalization and management of engineering, development, manufacturing and supply chain functions. As former Executive Vice President and Chief Operations Officer (COO) at Kyocera Wireless Corp., Jim Kelly led the creation and development of wireless handsets for the wireless market across the globe. Kelly has more than twenty-five years of experience with fast-growth companies in the consumer electronics industry, holding titles including President, Chief Operation Officer, Chief Technology Officer and Executive Vice President of Engineering. He is a proven executive with strong expertise in the globalization and management of engineering, development, manufacturing and supply chain functions. Kelly is intimately familiar with the high-volume, low-margin model pervasive in consumer electronics. He is an excellent manager of employees who creates checks and balances in the workplace resulting in significantly increased employee motivation. Prior to his executive position at Kyocera Wireless, Kelly was President and Chief Executive Officer of SkyDesk, Inc., where he provided technical and operational leadership to help move the online data storage and management company forward, ultimately resulting in the company’s sale to SwapDrive, Inc. Additionally, Kelly held several key leadership and senior executive positions at Iomega Corp. where he became the President of the company’s Mobile Division and Chief Technical Officer. During his tenure, Iomega grew from a $100.0 million company to a $1.7 billion company, all over a time period of less than 5 years. Kelly holds a Bachelor of Science degree in Mechanical Engineering from California State Polytechnic University in San Luis Obispo. At Clear Blue Energy we have our own team of in-house electricians that enables us to provide highly flexible and responsive service and installation at all times. We also use a number of outside electrical contractors for periods when we reach peak demand so that our service levels always remain high. Our electrical contractors and in-house electricians provide the best in class combination of expertise, quality and efficiency. Our electrical contractors and in-house team of electricians have installed thousands of monitoring systems over the last 10 years in Southern California. Our teams have in depth experience and knowledge with all types, manufacturers and brands of monitoring systems. You are in the best of hands when it comes to high quality, reliable installations and maintenance services.  At Clear Blue Energy Corp. we take great pride in our work and our goal is to provide you with the best in class service and expertise.